Welcome to the Bi-Weekly Best of the Web – a great way to catch up on recent commentary and compelling content from across the Web. Every other Friday, we’ll post insightful news articles, noteworthy blog posts and more related to the world of payments, payment data security and technology. It was a meticulously planned criminal operation, with at least 18 participants, 1,100 separate bank accounts, and 7,000 false identities. There were doctored credit reports, sham companies and 1,800 mailing addresses used to receive documents for 25,000 fraudulently obtained credit cards. A new set of card data security guidelines for merchants and payments providers aims to address increasing risks unique to e-commerce environments. With the year drawing to a close, we asked some of our key technology partners about the trends, tactics, challenges and opportunities that lie ahead. How will the retail payments landscape evolve and what are some of things retailers should be thinking about? Here’s a prediction: enforcement of EMV standards will shift even more fraudulent transactions and security breaches to e-commerce. EMV is designed to add an additional layer of security to prevent fraudulent card-present transactions by embedding a chip in the card and requiring a PIN to authorize transaction. With these new security measures, it’s hard to use stolen credit cards on POS terminals – you’d need to either know the PIN or hack the terminal at time of swipe. As of today, e-commerce doesn’t support EMV and it doesn’t seem like it’s happening any time soon. Existing security vulnerabilities that haven’t been resolved mean that breaches will continue to happen, making e-commerce the easier target for siphoning credit card numbers as well as using them to make fraudulent transactions and for card testing. 1. Security and evolving payment methods – ensuring a payment solution conforms to the latest Payment Card Industry (PCI) standards and includes a plan to support the upcoming EMV requirements for Chip and PIN or Chip and Signature acceptance. 2. A single solution across multiple form factors – the next generation payment solution will operate on various cross-channel platforms, including traditional stationary in-lane, portable throughout store, consumer phone, out of store both e-commerce and m-commerce. Forward-looking retailers are interconnecting data across consumer touch points, which will lead to more efficient, targeted marketing and a more pleasant shopping experience for consumers. Mobile is continuing to be a major focus in the retail space, including the emergence of more mobile payment options. Consumers are seeking the convenience of simply carrying their phone for all their needs, including commerce. Consumers are driving the market in this space and retailers are seeking innovative ways to keep up with demand. Additionally, there is a continued shift toward global commerce, offering options to all corners of the world in the applicable currencies. These tendencies will continue throughout 2013 and the foreseeable future. If you need a reason to throw more of an effort into cybersecurity, here it is: The cost of cyber crime has gotten more expensive. SILVER SPRING, MD (May 30, 2012) – Merchant Link, a leading provider of payment gateway and data security solutions, has named Geoffrey Krieg as vice president of product management. Krieg first joined Merchant Link in 2003 as the Director of Service Delivery. He returns to the company after spending four years abroad consulting with major European e-commerce merchants. “Geoff’s background in the processor and gateway industry, his expertise in e-commerce and alternative payment methods, along with his international experience provides the right leadership and vision for our product development strategy,” shared Dan Lane, President and CEO of Merchant Link. Krieg brings over 20 years’ experience in the payments sector. A pioneer in working with Independent Sales Organizations (ISOs), Geoff began his career with the Bank of Boulder, as Division Officer responsible for growing the bank’s ISO program. In 1995, Geoff joined four members of the Bank of Boulder’s executive team in launching TransFirst, one of the top acquirers in the United States. Before TransFirst, he also spent time at Visa International and CIAN Systems. SILVER SPRING, MD (April 16, 2012) – Merchant Link, a leading provider of payment gateway and data security solutions, today announced that it is developing an innovative e-commerce solution for merchants to process payments securely in card-not-present environments. Hosted Solution: This option will enable a secure process to route sensitive cardholder data directly from the checkout page to the Merchant Link gateway while preserving the look and feel of the merchant website, enabling a seamless user experience. Encrypted Solution: This option will encrypt sensitive cardholder data at the moment of capture and prevent such data from being available to the e-commerce application or merchant. Both options will significantly improve data security while reducing PCI scope and costs by blocking merchant access to cardholder data, the encryption and decryption environments, and to key management operations. “This offering reflects our ongoing commitment to expand the breadth and depth of our services to provide merchants with all the options, security, support and flexibility they need when it comes to payments,” said Dan Lane, Merchant Link’s President and CEO. The new solution is expected to be available by the end of the year. When the PCI Security Standards Council (PCI SSC) holds its election for Special Interest Groups (SIGS), it often provides a true window into the future of payment security. 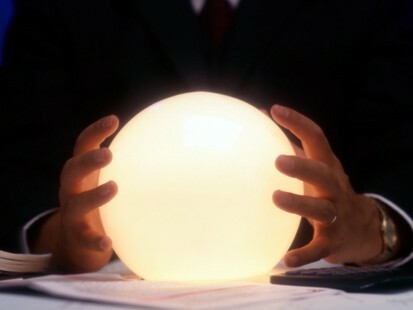 One could actually consider the outcome of the SIG elections a true crystal ball if you will. Last year, for example, our experts participated in the PCI SIGs for point-to-point encryption and tokenization. We saw these technologies as reaching a tipping point in the hospitality, retail and lodging industries. This year, the organization received 500 votes from more merchants, financial institutions, service providers and associations for the initiatives they want to prioritize in 2012, which included cloud computing, e-commerce security and risk assessment. All of which, are top of mind for merchants as online and mobile transactions become more prevalent. The SIGs have often resulted in guidance for interpreting and implementing the PCI Standards – in such areas as wireless security, EMV chip, point-to-point encryption and virtualized environments. So we will be offering our own opinions and watching with anticipation to see what they will recommend in these new areas. And while there is no such thing as a real crystal ball, the SIG elections clearly provide a glimpse into the future of payments and PCI compliance.